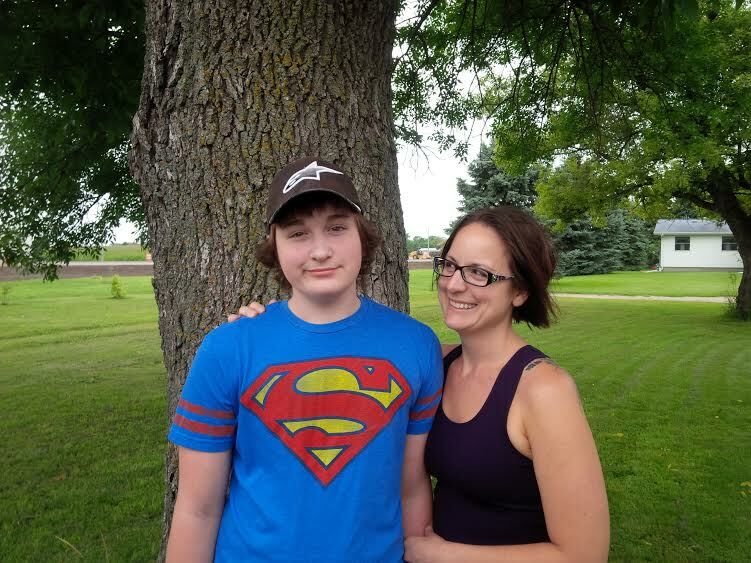 (KMSP) - One of the first bills introduced this legislative session calls on Lac qui Parle County Rick Stulz to drop gross misdemeanor child endangerment charges against Angela Brown, a mother from Madison, Minnesota who gave her son medical cannabis to treat a brain injury. The bill (read it here) notes that Brown only opted to treat her teenage son Trey with medical cannabis after exhausting other treatment options. Angela obtained cannabis oil legally in Colorado and "reported that within an hour of giving Trey his first dose of the cannabis oil the pressure in his brain and much of the pain was relieved and the muscle spasms visibly stopped; he began to enjoy life again and his ability to concentrate at school was improved." The bill also notes that Brown almost certainly wouldn't face charges for giving Trey medical cannabis had she done so a year from now, as Minnesota's medical marijuana system will begin distributing medicine this summer. While the legislature doesn't have the power to compel Lac qui Parle County prosecutors to drop the charges, Petersen says his bill is meant to be symbolic on multiple levels. "The case is different, in my opinion, because it sorta addresses an issue we just took up," he says, referring to the fact that the legislature just approved medical marijuana last session. "We make the law, the law is being applied, and it's being applied in a way that I don't think rings true to people who are interested in justice being served. Sure, it's the letter of the law, but I haven't met anybody who agrees with the application of the prosecutor's discretion, and so we have an opportunity to make a statement about our intent because we didn't really make a statement in the legal sense last session." "We're responsible for this case being where it is today and I think at the very least we should weigh in and say that this is not what we want to do, we ought to change the law because this is what happens when you have bad law in place -- it catches good people," Petersen continues. "We would like to pretend these victims of the system don't exist, we would like to pretend they're abstract stats, but nobody wants to look Angela Brown in the face and say, 'You gotta go to jail.'" Petersen also argues Brown was merely doing what Gov. Mark Dayton advised parents in her position to do back when it looked like lawmakers wouldn't be able to pass a medical cannabis bill early last session -- namely, buy marijuana off the street. "I think we owe it to her, especially in light of the fact that she did exactly what the chief executive of this state suggested," Petersen says. Petersen adds that even though the chairman of the Judiciary Committee, Sen. Ron Latz (D-St. Louis Park), won't hold a hearing on his bill, he hopes to force a vote later this week. Regarding medical cannabis more generally, Petersen says that while he supports expanding the state's medical marijuana system to treat more conditions and a relaxation of marijuana laws in general, that sentiment isn't necessarily broadly shared among lawmakers. "There is a sentiment to just sort of let it be alone, and frankly I think this is an issue that sheds light, takes it out of the academic context and places it in a way that reminds people, like, hey, when you pass a law there are real people who are prosecuted," he says. While some members believe that the legislature has no business meddling in the affairs of county prosecutors, Petersen says he's also heard from members, including some in the House, that support his bill. Meanwhile, Brown's fate is in the hands of District Judge Thomas Van Hon, who will soon decide whether to throw out the charges she faces or allow them to proceed, possibly to a jury trial.